In addition, “Home Care Aide Week” takes place November 12-18, the second full week in November. Home Care Aide Week” celebrates the important contribution that home care aides make in providing personal care services to home care patients.” Home Care Aides play an invaluable role for their patients as caregivers, companions, and friends. 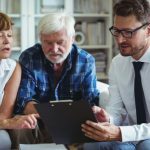 Unicity Eldercare is licensed as a Healthcare Service Firm by the New Jersey Division of Consumer Affairs (New Jersey Office of the Attorney General). As experts in the homecare field, we understand that no two clients are the same, and, as such, we develop an individualized service plan, incorporating all aspects of the person’s life and family. The steps involved in this process is vital in creating the Unicity Homecare approach, one that stresses personalization, dedication and quality care. 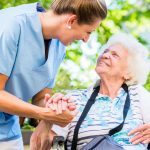 In our blog, we discuss how to honor those our home care aides during this week, and recognize the importance of Home Health for those individuals in our community who require this type of assistance. Home care includes a range of medical, social, assistive and other services provided in an individual’s home when a person needs follow‐up care after a hospital visit or requires long term care. These comprehensive services are provided by nurses, therapists, home health aides and other direct‐care staff under the direction of a physician’s order. The focus of these patient‐centered services includes prevention, recuperation, and/or an alternative to higher‐cost institutional care that would otherwise be provided in a hospital or nursing facility. Generally, home care services are appropriate whenever a person prefers to stay at home, or is homebound, but needs ongoing care. Patients receiving home care include: newborns and mothers eligible for maternal infant care services; young children and adults in need of at‐home therapy or advanced technology‐based care and support; elderly patients who benefit from the services of a skilled nurse to help treat chronic medical conditions; patients receiving wound care following surgery; or individuals with disabilities who may be homebound and require assistive services to meet activities of daily living, such as feeding, bathing, and other forms of self‐care. Patients are usually most comfortable at home, surrounded by family and friends who give them the support they need to cope. At Unicity Eldercare, we provide non-medical and medical home care services to our clients. Our services are customized and range from a few hours per day to 24/7 (live-in). Our licensed, trained and experienced Home Health Aides can assist you or your loved one with maintaining a daily routine, from bathing, eating, socializing, or simply going for a walk outside. Our mission is to help our clients stay in their familiar surroundings, remain independent and live an active, healthy, and happy life. All our services are provided by licensed aides (CHHAs or CNAs), and supervised by a Registered Nurse, who, in collaboration with the client and his/her family, develops a customized plan of care. We also keep our clients’ families updated regularly on the situation of their loved ones, and we provide guidance when necessary. While our services are mostly delivered at the client’s home, we also provide services to those residing in assisted living facilities, independent living facilities, nursing homes, rehabs, and hospitals. We understand that a person’s home is a person’s home, whether it be the house they lived in for many years or the assisted living facility they recently moved to. 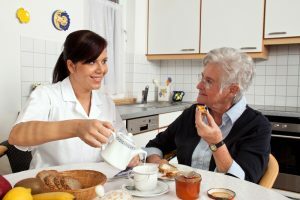 What Is The Role Of Home Health Care Aide? Home health aides provide basic services to elderly, ill, or disabled persons. They travel to their patient’s own homes or to a nursing care facility. 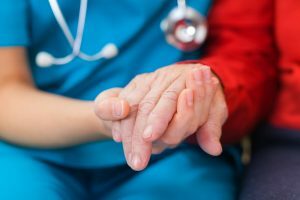 In many cases, their care is a big part of what allows a person to continue living in her own home and not have to move to a nursing home or another setting. Home health care aides They may assist them in purchasing groceries and preparing meals; and must be sure to follow specific dietary guidelines. Home health aide may need to change bedding, assist with dressing the client and help with basic grooming. Some home health care aides work with clients that need round-the-clock care, while others travel back and forth to the home several times a day. 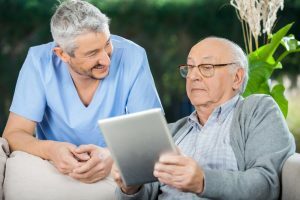 The home health care aide is in regular communication with a case manager or other supervisor; and documentation is vital part of their job. Unicity’s caregivers are Certified Home Health Aides (CHHAs), Certified Nurses’ Aides (CNAs), Registered Nurses (RNs), and Licensed Practical Nurses (LPNs). All our aides undergo regular training and are in constant contact with a supervising Nurse while working with a client. Unicity belongs to the prestigious National Association of Professional Geriatric Care Managers. Our Geriatric Care Managers are either Registered Nurses or Licensed Social Workers, with extensive experience working with the elderly community. Taking a client centered approach, our Geriatric Care Managers assist in problem solving, planning and implementation of solutions. We assist our clients and their families in multiple ways, and we are available 24/7. Home health care, and our home health care aides, is something that we should celebrate throughout the year. These healthcare firms allow people to get the help they need, while being able to stay in their homes. At Unicity Eldercare, we honor the services of our Certified Home Health Aides who provide care to those in need every day. We also celebrate National Home Care Aide Week, in order to recognize the difficult yet rewarding job of home care workers. 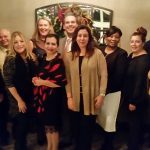 Our home care providers are the heart and soul of our company, and without our hardworking and compassionate aides, we wouldn’t be able provide the best comfort and care to our patients. We are proud to have aides who make an enormous difference in the lives of the patients and families we serve. Make November a special time of celebration to honor home care agencies and our workers, for all they do for patients around the country! When the time comes to consider home care for your loved one, you may seek help from Unicity’s qualified home care professionals to help ease the burden.